Welcome to the quarterly newsletter of the Irish Human Rights and Equality Commission. The information and links below give updates on some of the Commission's work already this year, alongside resources and information on human rights and equality issues. The Commission has issued a call for proposals under the Human Rights and Equality Grant Scheme 2017. B. Supporting the Implementation of the Public Sector Duty. The closing date for receipt of applications is Wednesday 6th of September 2017 at 5.00pm. If you would like to receive information about the Human Rights & Equality Grant Scheme 2017 in another format or in a language other the than Irish or English available below, please contact grants@ihrec.ie. 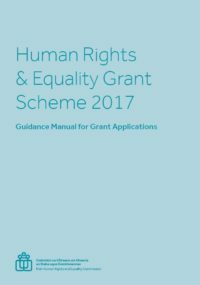 Grants Scheme 2017 guidance manual. The Commission, under its legal powers has exercised its amicus curiae function in a landmark decision by the Supreme Court on the right of an individual living in direct provision to earn a livelihood. The Supreme Court ruled that, in principle, in circumstances where there is no time limit on the asylum process, then the absolute prohibition on seeking employment was contrary to the constitutional right to seek employment. The proceedings were brought by a Burmese national who had been living in direct provision for several years and was offered work in the direct provision centre in which he resided. On application to the State for permission to take up this employment, the Minister for Justice and Equality refused to grant permission to work. The Supreme Court held that a right to work, at least in the sense of a freedom to work or seek employment, cannot be withheld absolutely from non-citizens. Noting that this situation could be resolved by changing the relevant statutory provisions, which is primarily a matter for government and parliament, the Supreme Court adjourned the matter for 6 months. 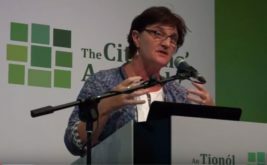 The Minister for Justice subsequently announced in July the establishment of an inter-departmental taskforce to address the Supreme Court’s judgment. The Commission was clear in its submissions that the denial of a right to work for asylum seekers has a severe impact, particularly for those who have been in the asylum process for lengthy periods of time. The Commission has been granted liberty by the Supreme Court to appear before it as amicus curiae (‘friend of the court’) in two cases (Balchand and Luximon) concerning the rights of non-Irish families who have been permitted to work and study in the State. The central issue in these proceedings is whether the Minister for Justice and Equality is required to have regard to the rights to private and family life, as guaranteed by the Constitution and the European Convention on Human Rights, in deciding whether to renew or vary the permission of the families concerned to be in the State. The Commission’s functions under the Irish Human Rights and Equality Commission Act 2014 include that of applying for liberty to appear as an amicus curiae (friend of the court) before the superior courts in proceedings that involve, or are concerned with, human rights or equality rights. The Commission previously appeared as amicus curiae in these proceedings before the Court of Appeal, which held in favour of the families concerned. In its role as Ireland’s independent national human rights institution and equality body, the Commission has a statutory role to keep under review the adequacy and effectiveness of law and practice in the State relation to the protection of human rights and equality, and to make recommendations to Government to strengthen and uphold human rights and equality in the State. 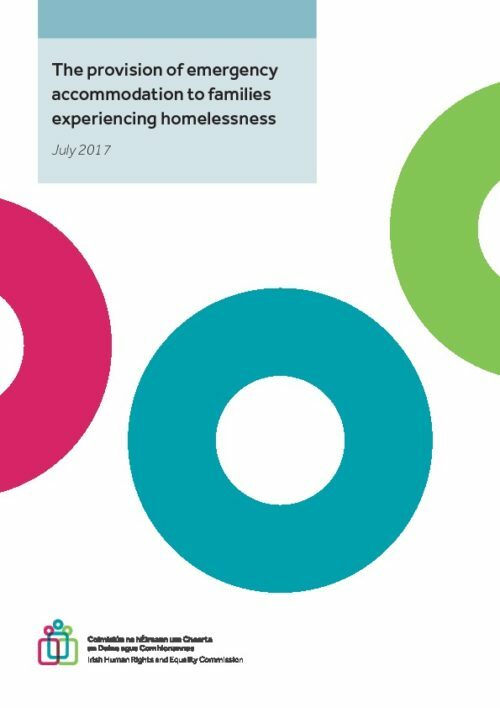 The Commission has issued a policy statement, “The provision of emergency accommodation to families experiencing homelessness,” which focuses on the provision of emergency accommodation, and the development of “family hubs”. In preparing the statement and recommendations, the Commission met with families experiencing homelessness, living in the family hubs, and Chief Commissioner Emily Logan visited the High Park family hub in Dublin. Among the Commission's recommendations were changes to legislation to to limit the time that a family may spend in emergency accommodation to three months, and a call on the Minister for Housing, Planning and Local Government to regulate for emergency accommodation to include provision for family access to cooking facilities and utensils, a play area, a family room, and that a family’s right to autonomy and privacy should be respected. Following on from the publication of the policy statement, the Commission has met directly with the Minister for Housing, Planning and Local Government Eoghan Murphy T.D. on the issue, met with the CEO of Dublin Region Homeless Executive and visited the family hub in Dublin run by Crosscare. The Commission launched our Annual Report to the Houses of the Oireachtas. The report of the Commission’s work as the independent national human rights and equality body, directly accountable to the Oireachtas, outlines the Commission’s increased activity on its statutory functions. The Commission also hosted an open day to welcome people to our offices to meet with our teams and learn more about our work in an informal setting. The Commission has welcomed procedures from leading property website MyHome.ie to manage property advertisements that have the potential to breach equality legislation. Throughout 2016 the Commission engaged in an information campaign advising the public and property suppliers of the change in the law and providing detailed information on the housing assistance ground. The awareness campaign led to the Commission receiving a high number of contacts from the public in relation to potential discrimination in the area of private rental accommodation. Following engagement with the Commission, MyHome.ie has developed practical methods to identify, monitor and block discriminatory advertising on the MyHome.ie website. MyHome.ie has also committed to reviewing and, where necessary, improving the system in light of experience following the roll out. 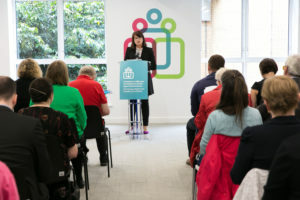 The Commission hopes that this initiative by a major player in the property advertising market will not only help ensure compliance on the MyHome.ie website but will also create an impetus for other advertisers/publishers/property agents – big and small – to put in place practical measures and systems to ensure that people seeking rental properties are not unlawfully discriminated against. As the national human rights institution, the Commission has a role to independently report on the State’s human rights and equality obligations under international treaties. 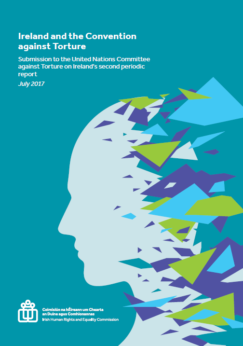 A detailed report was prepared by the Commission on Ireland’s record under the UN Convention against Torture and provided to the UN ahead of Ireland's formal review, which helped to inform the UN committee of experts in their independent assessment of Ireland’s progress. Chief Commissioner Emily Logan appeared before the UN Committee in Geneva to present the Commission's findings ahead of the State examination. The Commission's input was cited widely by the expert UN Committee and featured significantly in the UN questioning of the State, represented by Minister of State, David Stanton T.D. A large civil society delegation attended the examination in Geneva, with the UN Committee and the Government complimenting their high quality engagement. The Concluding Observations of the Committee against Torture in relation to their examination of Ireland are expected to be released today Friday August 11th. Easy to read summary of Commission UNCAT report - prepared with Inclusion Ireland. 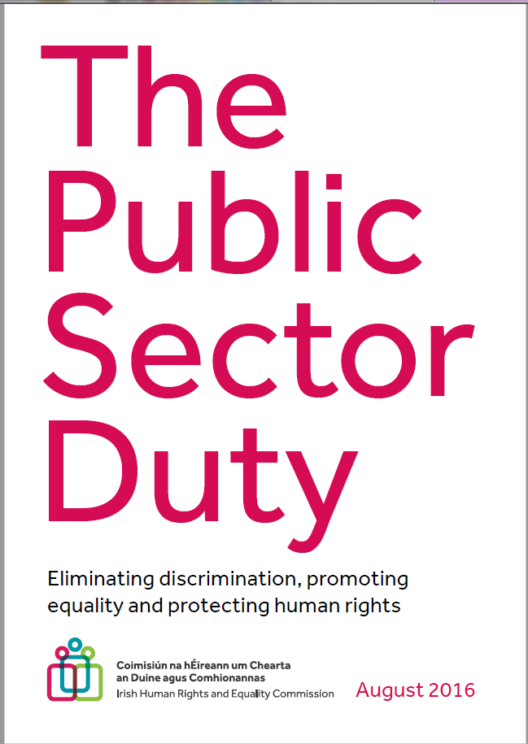 All public bodies in Ireland have a positive responsibility to promote equality, prevent discrimination and protect the human rights of their staff and the persons to whom they provides services. This is a legal obligation, called the Public Sector Duty, set out in Section 42 of the Commission's founding legislation. Public Sector Duty pilot projects are progressing with a number of bodies, with the Commission working alongisde the Local Government Management Agency (LGMA), local authorities in Cork and Monaghan, and with University College Cork on their implementation of the Duty. The Irish Probation Service has also agreed to become a pilot site, and to develop and deliver their Public Sector Duty. The Commission will be working to continue to raise awareness, through guidance and upcoming events about the Public Sector Duty and to highlight the experience of those already implementing it. As outlined above, implementation of the Public Sector Duty is also a core stream for the Commission's Grant Scheme 2017, currently open to applications. 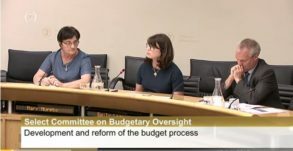 In July, the Commission adddressed the Oireachtas Select Committee on Budgetary Oversight as part of its strategic work to advance human rights and equality budget proofing. Emily Logan, Chief Commissioner, Commission Member Dr. Mary Murphy and Commission Director Laurence Bond addressed the Select Committee to raise human rights and equality proofing budgetary measures, and to engage directly with Oireachtas Members on using budgetary processes to focus on human rights and equality. The Commission, in its independent role as the national human rights and equality body, directly accountable to the Oireachtas, has focused on how it can assist in developing human rights and equality proofing budgetary measures. focused on the statutory public sector obligation on all public bodies including local authorities and government departments to eliminate discrimination, promote equality of opportunity and protect human rights, as set out under section 42 of the Irish Human Rights and Equality Commission Act 2014. The Commission has rolled out a programme of capacity-building, pilot projects and information provision on this duty. The Commission has also worked recently with specialists in budget proofing to produce content for a special edition of the academic journal Administration, focusing on human rights and equality proofing. This special edition is now available at the link below, and is free to access. In addressing the Citizens’ Assembly alongside Commission Member Mary Murphy, Emily Logan, Chief Commissioner focused specifically on access to pensions and inequality, particularly gender inequality. Laurence Bond has been appointed as the Director of the Commission, following an open recruitment process carried out by the Public Appointments Service. Laurence brings a wealth of experience in senior management in public administration, and through his professional experience brings in-depth knowledge of, and a deep commitment to, the promotion of human rights and equality in Ireland. 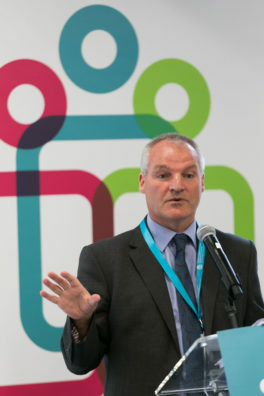 Prior to his appointment as Director, Laurence served as the Head of Research for the Commission, and comes to the role having worked previously as Head of Research in the legacy body, the Equality Authority from 2002. The Irish Human Rights and Equality Commission will be hosting a stand at this year's National Ploughing Championships taking place in Tullamore, Co. Offaly from 19th-21st September. Come visit our stand and meet our team to learn more about the Commission's work. Also please feel free to share this newsletter with people you think might be interested to subscribe.